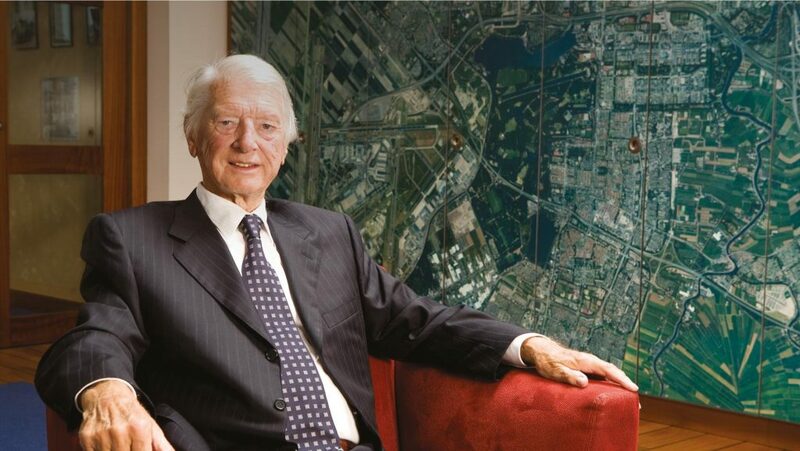 Chipshol was founded by Dutchman Jan Poot (1924-2018), who had started his career at the South Holland Provincial Planning Department. As head of the Housing Office, he managed to join municipalities into building districts –a true novelty– which virtually doubled housing production in South Holland in the space of two years. In 1960, he set off as an entrepreneur and founded Eurowoningen, a company that within 11 years constructed some 23,000 homes, two thirds of them in the rented sector, as well as four shopping centres. Apart from new types of housing, the company also created ‘residential parks’ such as Doorwerth and Leusden, with unique recreational facilities. An innovative approach, aimed at a high-quality living environment, proved key to his success. In 1974, Mr Poot formed the international Eurohome Group, with five national companies operating in the commercial property and housing sectors, including first and second homes. Following the philosophy that had proven so successful in the Netherlands, he founded the Valmorel ski resort in France. For this development, he achieved the collaboration of 12 French local authorities as well as one French and six Dutch institutional investors, in a single district. Valmorel was later designated as a model resort by the French government. In the Netherlands, Eurohome’s developments included apartment buildings in Scheveningen with indoor swimming pools. Mr. Poot founded the Chipshol Group in 1986, when he was 62 years old. His vision was that the city of the future would start around airports, just as in the past cities had started around harbors or railway stations. Although his son Peter had long taken over the company’s management and daily operations, Mr Poot remained closely involved with Chipshol up to the age of 90. He passed away on 16 October 2018, at the age of 94.